Established in 1984 as The Propane People, we have decided this year to undergo a name change, and make sure all of our existing and new customers see first­hand our commitment to the best customer service in the industry. Now, Propane Services will carry this family owned company forward with our total commitment to customer service in all that we do. Do you need a new propane tank, or service for your existing propane tank? Call us today, and let one of our propane gas experts take care of your needs. We serve over 9,600 residential and commercial customers, including working with hundreds of the finest custom home builders, pool and spa builders, landscape companies, and government agencies. 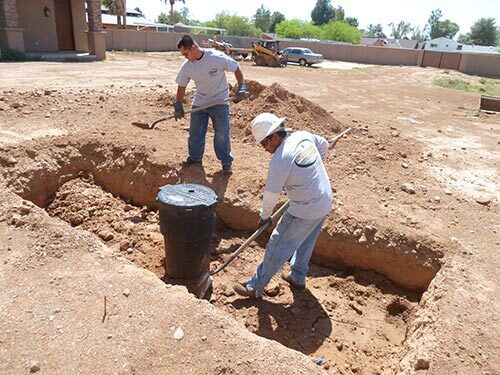 We are licensed with the Arizona Registrar of Contractors, and our propane gas line plumbers are the most experienced in the business. Our only business is propane gas, and we are here to offer our expertise and highest level of customer service you should expect when working with a propane gas partner. If your needs are home heating, pool or spa heating, space heating, water heating, cooking or drying, call us today, and experience what over 9600 customers have come to experience and expect; the most knowledgeable and customer service oriented company in the propane gas industry.